Describes the diseases of important vegetable crops and tells how to control them. Covers all disease types: bacterial, fungal, viral, nematode, and abiotic, and provides information on their cycles. Describes control measures, including resistant varieties, fungicides, crop rotation, and seed treatments. Well-illustrated and readable. Completely revised from first edition. 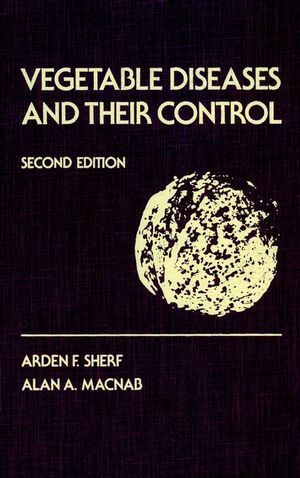 Arden F. Sherf is the author of Vegetable Diseases and Their Control, 2nd Edition, published by Wiley. Alan A. MacNab is the author of Vegetable Diseases and Their Control, 2nd Edition, published by Wiley.